Intellectuals always stray from the convenient and cliche comparisons to Proust. However, my comparisons to A La Recherche du Temps Perdu must be made to convey the very strong essence of nostalgia that permeates some of the work of Orhan Pamuk and most particularly The Museum of Innocence. How glad and relieved I am to discover in the Middle East, another high intellectual, who would probably cringe at my cliche comparisons. Orhan Pamuk is our Nobel Prize winner and I have finally set on a reading journey with him. 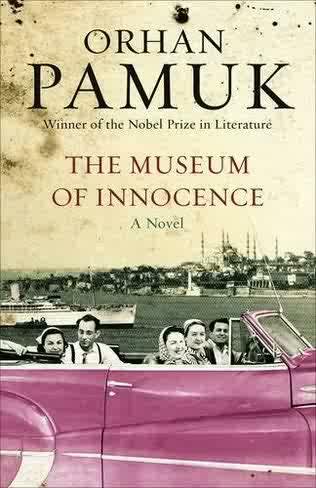 I have always intended on reading Pamuk. He comes highly recommended by my prolific reader father. I read an interview by him in LeMonde recently that sent me rushing to the bookstore. I had previously begun reading Istanbul, another book by him and very much appreciated by my father, before someone, somewhere snatched it from me! In that book, what remains in my mind is the "photographic detail" of those opening chapters. He had described every object in his father's room! Orhan Pamuk has a fetish for objects and what they represent and symbolize. It is not a "madeleine cookie" that takes him to a time past, but the vision or even the handling of objects that transport him to the time when the object was acquired or was used (before it was forgotten and became a relic). I conversed with my father as I began the opening chapters of Museum of Innocence and got drawn in, like a bee to honey. He remarked that Pamuk and him are of the same generation and that is why he can comprehend his sensibiities and nuances. 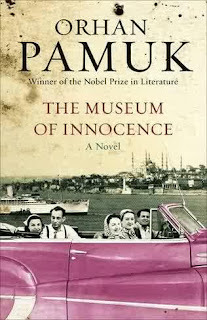 When I inquired about him further, a writer-friend, one I consider as his colleague, because he is a recipient of a Western literary prize, but is originally from the East, told me that Pamuk is rather stiff at first encounter. We both agreed that didn't intervene in our impressions of him as a writer. I praised the Turkish thinker and recalled my father mentioning Neguib Mehfouz, one generation older than Pamuk. Mehfouz's trilogy is influenced by Zola, I told him. 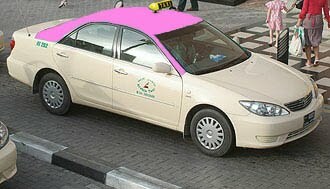 Mehfouz who builds genealogy and stuffs interiors with customs and detailed narratives. Indeed, the Middle Eastern novels have found their inspiration in France. When I read the two books of Pamuk I visited two Middle Eastern cities. "Istambul" that I enjoyed more reminded me of the Ottoman Beyrouth of the fifties,and I felt I lived it again with Orhan.His black and white description of homes and families and life in general,was another cinema paradiso. "The Museum of Innocence" to me was an exposure to the pre-revolution Teheran society,where some characters I knew could fit well in his latest book.In both books there is a reflection of the"huzun" or sadness deeply embedded in MIddle Eastern societies,or may be in the Mediterranean basin.